If you are unable to view our Newsletter Issue 60, April 2019 on your mobile or desktop, click here to view them online. A “Late Talker” is a toddler (between 18-30 months) who is typically developing in terms of play skills, motor skills, thinking skills, and social skills, but has a limited spoken vocabulary for his or her age. When speaking about late talkers, comments such as you should “wait and see”, “boys tend to talk late” or “I only started talking at 3” are a common few that you might hear. There seems to be a perception that late talking children will catch up and develop appropriate language skills in later years. Although a fraction of late talkers do go on to develop age appropriate language skills, there is also a possibility of early language difficulties persisting through to adolescence, impacting academic outcomes. Research continues to evidence weaker language and related abilities in children who were identified as late talkers in early childhood, even if they had caught-up and achieved within average range on language and reading tasks. 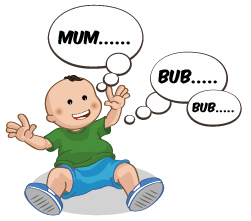 Risk factors such as being a quiet infant, limited imitation of words, history of ear infections and family history of speech and language delay etc, if identified, also place the toddler at an increased risk for persistent difficulties in language acquisition. Early language intervention can help remediate problems and potentially prevent future difficulties in late talking children. Intervention boosts a child’s long-term outcomes, and can also have an impact on other domains that rely on prior language achievements for their development. When it comes to late talkers, the wait-and-see approach may cause more harm than good. Speech and language intervention is worth it to resolve language issues sooner rather than later. It is recommended that you consult a speech-language therapist if you have concerns with your child being a late talker. Melissa Monsted is our Principal Speech and Language Therapist and oversees the Speech Therapy department at Dynamics. Melissa has extensively worked with children with speech and language disorders and delays, children with disabilities and developmental delays, Autism, behavioural difficulties, feeding difficulties, fussy eaters, children with pragmatic language difficulties, as well as with those who stutter. Melissa enjoys providing a fun environment and integrating sensory input to ensure that children get the most out of their sessions. She actively works collaboratively with parents, caregivers, other healthcare professionals, teachers to ensure consistent input across all environments. Melissa enjoys providing a fun environment and integrating sensory input to ensure that children get the most out of their sessions. She actively works collaboratively with parents, caregivers, other healthcare professionals, teachers to ensure consistent input across all environments. 10 questions with our employee spotlight of the month, click here. Be aware of typical language milestones and when they should be achieved. You can get more information here. Track your child's language. Keep tabs on what your child is saying and what she/he can understand. This helps you to better monitor his/her development and will also serve as useful information for your pediatrician or speech therapist. Ask your child's teachers if your child's speech or language is like their peers'. Teachers see a wide variety of children everyday and would have a good idea of what is typical for a child of a certain age. Speak to your pediatrician. It never hurts to ask! Consult your pediatrician regarding your concerns and he can give you a holistic view about your child's overall growth and development. 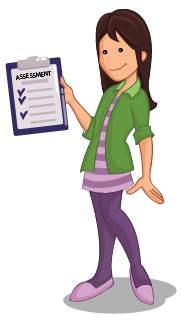 Get an assessment! 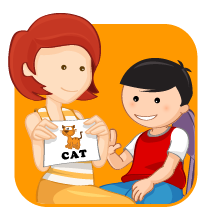 A detailed speech and language assessment by one of our qualified speech therapists will give you better insight into your child's speech and/or language development. As a Dynamics Kids Club member, you get to enjoy privileges across various partners listed here. Dynamics Kids club annual membership programme can be obtained after purchasing a therapy session or package with Dynamics. Featured below is a new member of our club and their corresponding promotion. Applicable for HD Prints only (no min. purchase). Key in discount code: HDDYN2019 to enjoy 50% off. Delivery fee applies. Not applicable for in-store ordering. educational therapists, psychologists, teachers & all supported by our administration team. You can be assured that at Dynamics you only get the best, from the best! © Dynamics Therapy Centre for Kids Pte Ltd. All rights reserved.